Lubrizol Employees' Credit Union was founded in 1953 and has proudly served its members for over 60 years. Twelve Lubrizol Corporation (Deer Park, Texas) employees with a vision met on November 30, 1953 to pool their money together to create an organization that would promote thrift and provide low-cost loans to employees of the Lubrizol Corporation Deer Park and Bayport facilities. On December 8, 1953, the Texas Banking Commissioner signed certification that made us a state-chartered Credit Union. The story has been told that the first deposits were kept in a shoe box until a fellow employee needed a loan! We have grown a bit since then. Today, with over $45 million in assets, Lubrizol Employees' Credit Union serves over 3000 members. 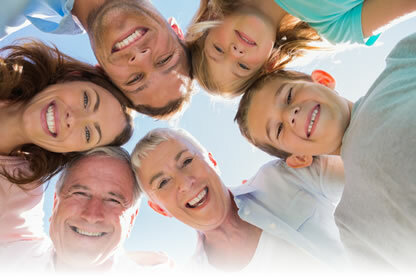 Lubrizol Employees' Credit Union is proud to be a member-owned, not-for-profit financial cooperative whose sole purpose is to serve its members. Our commitment to our members is consistent with our credit union principles of “Not for Profit, Not for Charity, But for Service” and our philosophy of “People Helping People”. Our mission is to build lifelong relationships through family friendly service and provide beneficial, progressive financial services. Our vision is to be the financial services provider of choice, enriching the lives of our members and employees. Adhering to our core values guides us to treat others with the courtesy and respect that we wish for ourselves. LZECU believes that through these actions we can achieve our primary goal of delivering an excellent member experience at all times.